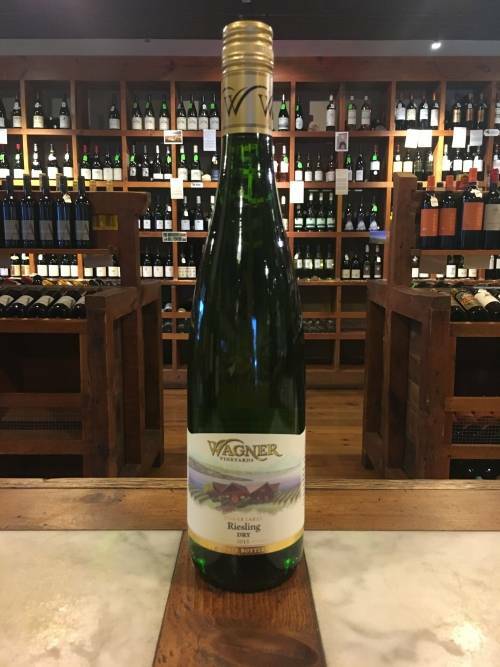 The nose offers ripe tropical fruits—mango and pineapple—as well as muskmelon, yellow grapefruit, fresh herbs, and a touch of minerality. The palate continues the tropical theme with papaya and lychee flavors and peachy notes. There’s a round, creamy, leesy texture to this wine and enough acidity to provide lift. With air, the wine develops a slight bitter almond quality. Medium plus in body and length. Jurançon is located at the foot of the Pyrenees in southwest France. It has produced celebrated white wines, both dry and sweet, since the Middle Ages and was one of the earliest appellations in the country. The local grapes are Gros Manseng, Petit Manseng, Petit Courbu, and the nearly extinct Camaralet and Lauzet. The climate is continental, and spring frosts are a real threat; Atlantic influences ensure enough rainfall. 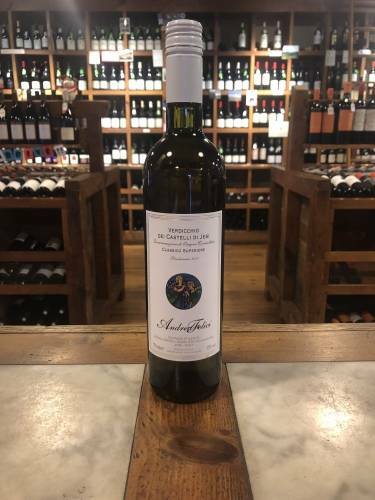 The specialty of the area is naturally sweet wine (Moelleux), made from late harvest (dried on the vine) Petit Manseng, usually aged in oak and very long lived. Jurançon sec is dominated by Gros Manseng. 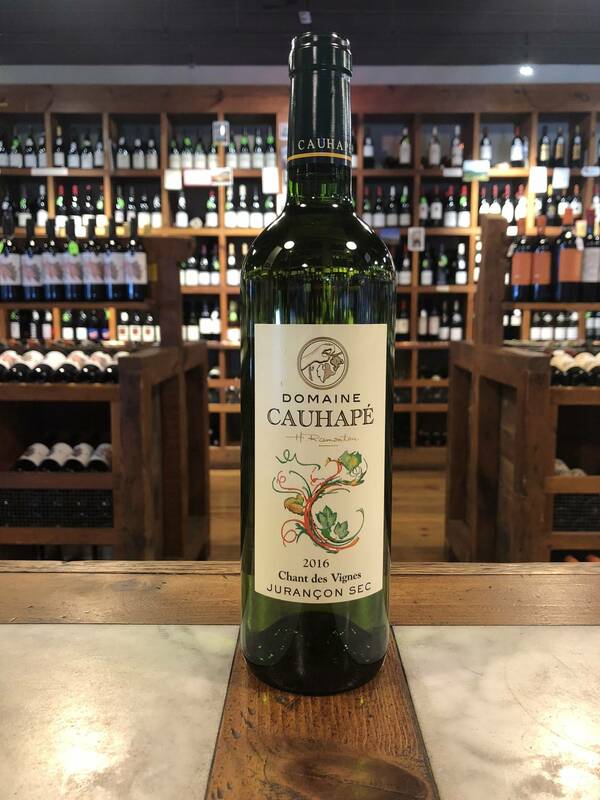 Domaine Cauhapé is a major producer of both styles. The estate covers some 40 hectares of vineyards on south- and east-facing slopes with soils containing clay, silica, and stone. All vineyard work is manual, from pruning to leaf pulling to harvest. 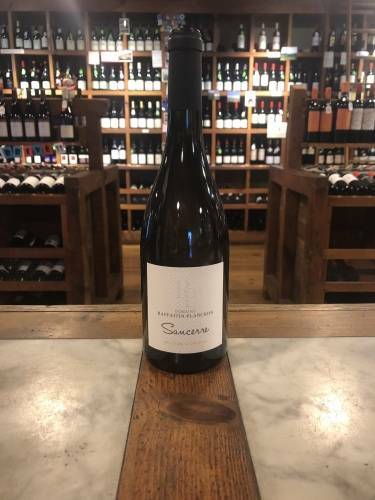 It is run by Henri Ramonteau, a completely self-taught viticulturalist and winemaker, who took over when his elder brother was killed in a road accident. Grapes are hand harvested and destemmed. After a 12-hour maceration, they’re pneumatically pressed and fermented in stainless steel. The wine ages five months on the lees, adding to its richness and round mouth feel. Camaralet is an unusual grape; although vigorous in foliage, its yields are miniscule. It is not hermaphroditic like most vines, but produces only female flowers. It was on the verge of extinction (only a half-acre of one cultivar existed in 2000) until Henri Ramonteau rescued it. The grape is known for its strong aromatic and flavor profile—citrus, tropical fruits, flowers, fennel, and white pepper—as well as a rich mouthfeel and good alcohol levels. Yields at Cauhapé are significantly below those permitted by regulation.